This column was written by Robert Scheer. There must be a criminal investigation of the AIG debacle, and it looks as if New York's top lawman is on the case. The collusion to save this toxic company in order to salvage the rogue financiers who conspired to enrich themselves by impoverishing millions is being revealed as the greatest financial scandal in US history. Instead of taking bonuses, the culprits should be taking perp walks. I'm not just referring to the swindlers in the Financial Products Subsidiary of AIG who devised and sold those insurance policies on derivatives that brought the world economy to its knees. They do seem deserving of a special place in hell, and presumably the same divine power that according to Scripture labeled usury a high moral crime and threw the money-changers out of the temple will consider that outcome. However, the enablers are the AIG leaders who, as New York Attorney General Andrew Cuomo revealed Tuesday, signed those bonus contracts a year ago to reward the very people "principally responsible for the firm's meltdown." That's a cool $44 million divided among the top ten shysters, even though the depth of their chicanery was well known to top management. As Cuomo noted in a letter to Rep. Barney Frank: "The contracts shockingly contain a provision that required most individuals' bonuses to be 100% of their 2007 bonuses. Thus, in the spring of last year, AIG chose to lock in bonuses for 2008 at 2007 levels despite obvious signs that 2008 performance would be disastrous in comparison to the year before." The lame argument that those bonus-baby employees needed to be retained in order to sort out the mess they had created was also shot down by Cuomo, who revealed after his office's initial investigation had pierced AIG's veil of secrecy that "[e]leven of the individuals who received `retention' bonuses of $1 million or more are no longer working at AIG, including one who received $4.6 million." But the $165 million in taxpayer funds used to reward them is but a sideshow in a far larger drama of moral decay swirling around the banking bailout. It should not distract from the many billions, not paltry millions, of our dollars being diverted to reward the very folks who brought us such misery. Consider the $12.8 billion of the $170 billion that taxpayers gave AIG in bailout funds that AIG then secretly diverted to Goldman Sachs, a company that evidently has a lock on both the Treasury Department and the Federal Reserve no matter which political party is in power. 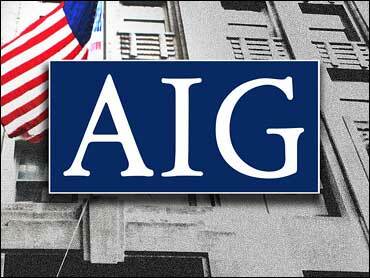 It was the biggest payoff among those that AIG made to a score of foreign and domestic financial giants. The bailout is a response to a banking crisis that resulted from the radical deregulation pushed by former Goldman Sachs honcho Robert Rubin when he was President Clinton's treasury secretary. Another Goldman Sachs chairman-turned-treasury-secretary, Henry Paulson, in the Bush administration designed the trillion-dollar bank bailout that will go down as the greatest swindle in US history. It was because of Paulson that AIG was saved from bankruptcy hours after Goldman rival Lehman Brothers was allowed to go down the drain. Why that reversal of strategy in a top-secret meeting called by then New York Fed Chair Timothy Geithner, a Rubin protege and now Barack Obama's treasury secretary? Why was Goldman's Lloyd Blankfein the only financial industry CEO in attendance? When that news leaked out, his role was defended as that of a noninvolved concerned citizen with expert knowledge, and whose firm had no direct monetary stake in the outcome. Goldman Sachs was into AIG insurance policies for at least $20 billion, which is why the firm got that $12.8 billion while Paulson was in charge. It took six months for the embarrassing facts to finally come out. The bailout program was administered by Neel Kashkari, a former Goldman Sachs VP; why are we not surprised at that? Another pretend innocent in all this is AIG's CEO Edward M. Liddy, famed defender of the $440,000 AIG executive retreat in Monarch Beach, Calif., held on the heels of the taxpayer bailout. His actions now are defended as mistakes made by a well-intentioned outsider who decided to work for a dollar a year after Paulson appointed him head of AIG. That is just garbage. Liddy was complicit in Goldman Sachs' role in creating this mess. As a director of Goldman Sachs, he was paid $685,770 in 2007 and would have come in for some questioning if the firm had gone down. Liddy even headed its audit committee during the five years before he resigned that seat to take over AIG in September 2008. As for his salary sacrifice, not to worry; in 2005, when he was still CEO of Allstate Insurance, he received $26.7 million in compensation. What we have here is a rare glimpse into the workings of the billionaires' club, that elite gang of perfectly legal loan sharks who, in only the most egregious cases, will be judged as criminals--Bernard Madoff, former chairman of NASDAQ, comes to mind. These other amoral sharks, who confiscated billions from shareholders and the 401(k) accounts of innocent victims, were rewarded handsomely, rarely needing to break the laws their lobbyists had purchased. Rep. Elijah Cummings, Sen. Mike Lee, Sen. Cory Booker, Robert Caro, Lynne Olsen, Susan Page, Evan Thomas and CBS News Senior Foreign Correspondent Elizabeth Palmer appeared on this broadcast of "Face the Nation"